The project “One Solar Panel Per Child” (O.S.P.P.C) requires 100 billion euros over 10 years to sell portable solar panels to 33% of the world population. The human activities reject an important quantity of CO2 result of the combustion of oil. Although half is recycled by the atmosphere, other half remains there, which increases the effect of greenhouse. 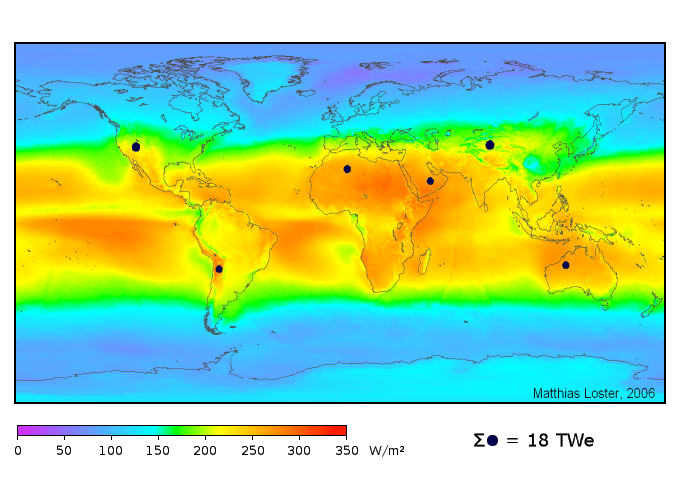 This Gas abundance for Purpose of Greenhouse (GES) is at the origin of a climatic reheating. If the reheating continues at the current rate/rhythm, it can result from it from the modifications of the circulation of the oceans, a change of the catastrophic climate, a loss of biodiversity and damage irreversible on agriculture in the most affected écorégions. Estimates recognized by the GIEC and certain groupings of insurance raise to 3,5 billion the number of people who could be touched by pandemias, the disappearance of sources of drinking water and other impacts possible. These gases for purpose of greenhouse thus function as a cover which maintains a temperature hot on the surface of our Ground and thus prevent it from cooling. However, coal and oil are fossil energies which are condemned to disappear if they are used more quickly than they are not formed. In 2015, remaining oil will become increasingly difficult to extract. It is thus necessary to envisage other modes of consumption of energy such as for example photovoltaic solar energy. Solar energy is the energy contained in the solar, direct or diffuse radiation. Thanks to various processes it can be transformed into another form of useful energy for the human activity, in particular in electricity and thermal energy. Company AMD, a manufacturer of microprocessors, and its partners envisage to provide 2 billion Personal Internet Communicator (PEAK) in the ten next years to the populations disadvantaged within the framework of the initiative 50×15. In the same way, the portable computer of MIT Lab Media is a research project of MIT Lab Media having for goal to develop a portable computer little expensive (in 100 USD), to give each child in the world access to the knowledge and the modern forms of education. 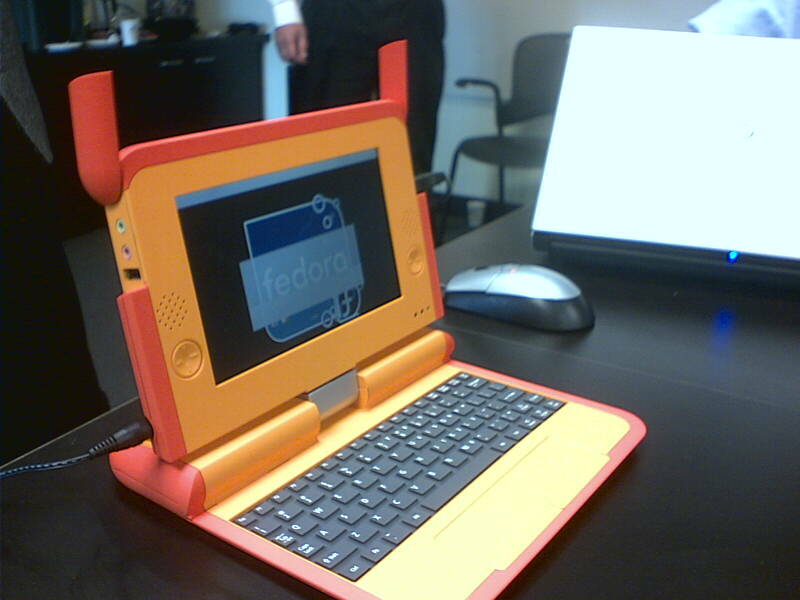 This project is developed by the organization One Laptop Per Child (a portable by child). However, this population does not have access to electricity yet. This is why, the sale of portable/wandering solar panels would be a means of replacing fossil energies, of limiting the reheating of planet, of making it possible the populations to reach electricity and thus, their facility the access to the portable computers and the Internet. If the solar panel is directly directed towards the sun, it functions to 100%. If the partially covered sky, the loss amounts to approximately 50%. The panel thus functions to 50% of its potential. If the sky is covered, it does not function any more but at 10%. What is equivalent to a loss of 90%. 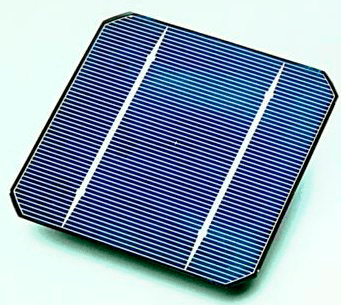 The techniques to collect a part directly solar energy are available and are constantly improved. Research is very active in the field of the solar photovoltaic one. The prices decrease constantly and the outputs progress. In 20 years, the outputs passed from 15% to 36% in the laboratories. This last figure would be that reached on Earth by the solar cells used by the robots Martians. The outputs of the systems available commercially as for them passed from 5% to more than 20%. In 2003, the new installations represented, in the world, a power of 574 MW-peak, in increase of 34% compared to 2002. Financially, it is now about a market of 4 billion euro per annum. Japan, Germany and the United States account for 75% of the world market together. The installations connected to the networks (without storage of electricity) represent the majority of the new installations. The systems of solar energy production have a cost proportional quasi-no one: once the installation of the apparatus carried out, energy is produced by the Sun, which does not cost anything. It is however necessary to take account of the maintenance costs of the apparatus. It is also possible to be useful of a solar panel inside a building. Only, the performances decrease by 10 to 25% when the radiations pass through pane. geographical situation: The countries which will be selected in priority will be those whose economic situation is most reliable. seasonal solar radiation: According to the importance of the cloud cover of the atmosphere, the ground receives from 68% up to 28% (or less) of the solar radiation arriving on Earth. On 6 billion human being, 1 billion people only has access to the Internet. However, these media should be accessible to all. There thus remain 5 billion prospective customers. Asia, Africa and Europe only add up with them 82,9% of the world population. This is why, the countries which compose them remainder one of the priorities of the project. For a company: to contact businesses angels. For an association law 1901: to check that there is not already a similar structure in your city. If not, to deposit the status near your prefecture or under prefecture of the department or is located your registered office. To fill a file with request for subsidies to your town hall using this document as well as status of your organization of affiliation. See sections financing and bugdet. 2.externaliser: to create other communities local, regional, national and international. The financing will be done by the direct sale on Internet or telephone. What very strongly decreases any risk of unpaid and optimizes the treasury of association. Association can receive financings of public institutions, associative structures already places from there as well as institutions private and civil company. This project is placed in the initiative 50×15 since it aims so that half of planet is a solar charger as well as a portable computer which will function with renewable energies before 2015. By reading this document, by buying solar panels ou/et by transferring part of your benefit to the organization “One Solar Panel Per Child” in the form of gift in kind or of contributions, you contribute already to the success of this project. And I thank you. The goal is that 2 billion people buys a portable solar charger with 50 euros (or less). The necessary budget is 100 billion euros. A portable solar charger is worth 50 euros. If one buys 2 billion portable solar charger and that one sells them with 51 euros, one obtains 2 billion euros of benefit. By taking of account the economies of scale, if the portable solar charger is sold less expensive, therefore to 48 euros, the benefit by object is of 3 euros, the total benefit thus rises to 6 billion euros. The project also received criticisms concerning the impact on health and the environment in particular because of the components used during the manufacture of these computers. Which will be the impact of a massive establishment of portable solar panels providing renewable energies for the world population? In France, electricity is rented at EDF. Whereas to finance renewable energies is less expensive. Demonstration: A computer costs 12,74 euros of electricity per annum on average. Therefore, over 20 years: 254,8 euros. 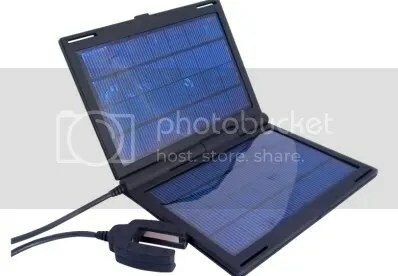 To buy a solar charger totals 100 euros of standing fixed overheads. The placement becomes profitable at the end of 10 years. That thus made a saving in 154, 8 euros per annum. Every year. This project aims so that half of planet is a solar charger for portable computer which will function with renewable energies before 2015. The exemption from payment of the solar panels is possible. On the benefit that this fact the families, 50% can be used to finance other families in materials. Therefore, it is possible via contract “to give” portable solar panels without association pouring anything. To make it possible the populations to reach a source of renewable electricity, it is on the one hand to reduce their expenditure, on the other hand to reduce the numerical fracture in their giving access to ouvelles Communication and information Technologies (NTIC: telephone, portable computers etc), to insert its population in the numerical revolution, finally is to allow the insertion of these populations in the company of information, thus attaching them to the world economy. Which is the extent of the ecological print resulting from the creation of 5 billion portable solar panel? That represents a considerable pollution. However, that represents less than the oil consumption and will not génèrera a radioactive waste. The generally allowed aptitude wants that “More the standard of living is high, plus the print (and thus the consumption of resources) is important. ” That is dangerous if the resources used are not durable, but the portable computers will be supplied by the sun which is a renewable energy. A population which has access to a high level of education will have the possibility of making better choices that a population with a level of weaker education. Therefore, if it selected the most ecological means of existence, it will produce less waste and its ecological print is by-the-even reduced. * Better choice as regards transport: to have a computer at home prevents that a person living in the countryside is not to be moved in the car in the city to connect itself nearest to a cybercafé. True the question is: which are they the materials entering the composition of the solar panels and the portable computers, and are durable? Compatible: X86/X87 – MMX, 3DNow! In transmissif mode Couleur/DVD with a resolution of 693 by 520 pixels with retro-lighting (for a use as a portable computer). In reflective mode (using the ambient light) monochromic of a resolution of 1200 by 900 pixels (for reading “ebook outside” (electronic Books)). 128 MB of DDR266- 133 MHz DRAM. 512 MB of memory flash. Network Without Wire 802.11b (WiFi) provided by a chart functioning at a speed limited (2 Mbit/s) to minimize electric consumption. Alphanumeric conventional keyboard localised according to country’s of use. Tactile paving stone (touchpad) for control of the pointer and like input area of handwritten writing. Electric cable also being used as shoulder-belt. Two rechargeable batteries C (R14) or D with a crank. Four alkaline piles C (LR14) or D (LR20). To the maximum, between 5 and 10 Watts, whereas a traditional computer consumes 20 Watts on average. Caution: it is necessary to be provided with one lights male cigar to connect the apparatuses! What gives us a SOLAR KIT with 113,90 euros (99+14,90). The objective of the sales force will be initially to reduce this cost per 100 euros. Then, production and the helping research and development, with 50 euros. Since association will become its own supplier by controlling all the chain of production in order to reduce the costs and to improve quality. In order to provide a KIT All-In-A for 100 euros including/understanding the portable computer of MIT (50 euros) as well as the Solar KIT (50 euros). The project leaves the report that a portable computer of MIT Lab Media without solar panel would not function, and that a solar panel without materials functioning with electricity would not have any utility. Copyright (c) 2006 Geffrotin Yann. Permission is granted to Copy, distribute and/or modify this document under the terms of the GNU Free License Documentation, Version 1.2 gold any later version published by the Free Foundation Software; with No Invariant Sections, No Texts Face-Cover, and No Back-Cover Texts. With Copy of the license is included in the section entitled “GNU Free License Documentation “. Photographs belonging to their respective owners. Le projet « One Solar Panel Per Child » requière 100 milliards d’euros sur 10 ans pour vendre des panneaux solaires portables à 33% de la population mondiale. Les activités humaines rejettent une importante quantité de CO2 résultat de la combustion du pétrole. Bien que la moitié soit recyclée par l’atmosphère, l’autre moitié y reste, ce qui augmente l’effet de serre. Cette abondance de Gaz à Effet de Serre (GES) est à l’origine d’un réchauffement climatique. Si le réchauffement continue au rythme actuel, il peut en résulter des modifications de la circulation des océans, un changement du climat catastrophique, une perte de biodiversité et des dommages irréversibles sur l’agriculture dans les écorégions les plus affectées. Des estimations reconnues par le GIEC et par certains groupements d’assurance élèvent à 3,5 milliards le nombre de personnes qui pourraient être touchées par des pandémies, la disparition de sources d’eau potable et d’autres impacts possibles. Ces gaz à effet de serre fonctionnent donc comme une couverture qui maintient une température chaude à la surface de notre Terre et l’empêchent ainsi de se refroidir. Or, le charbon et le pétrole sont des énergies fossiles qui sont condamnées à disparaître si on les utilise plus vite qu’elles ne se forment. En 2015, le pétrole restant deviendra de plus en plus difficile à extraire. Il faut donc prévoir d’autres modes de consommation de l’énergie comme par exemple l’énergie solaire photovoltaïque. L’énergie solaire est l’énergie contenue dans le rayonnement solaire, direct ou diffus. Grâce à divers procédés elle peut être transformée en une autre forme d’énergie utile pour l’activité humaine, notamment en électricité et en énergie thermique. La société AMD, un fabricant de microprocesseurs, et ses partenaires prévoient de fournir 2 milliards de Personal Internet Communicator (PIC) dans les dix prochaines années aux populations défavorisées dans le cadre de l’initiative 50×15. De même, l’ordinateur portable du MIT Media Lab est un projet de recherche du MIT Media Lab ayant pour but de développer un ordinateur portable peu cher (à 100 USD), pour permettre à chaque enfant dans le monde l’accès à la connaissance et aux formes modernes d’éducation. Ce projet est développé par l’organisation One Laptop Per Child (un portable par enfant). Or, cette population n’a pas encore accès à l’électricité. C’est pourquoi, la vente de panneaux solaires portables / nomades serait un moyen de remplacer les énergies fossiles, limiter le réchauffement de la planète, permettre aux populations d’accéder à l’électricité et donc, leur facilité l’accès aux ordinateurs portables et à l’internet. Si le panneau solaire est directement orienté vers le soleil, il fonctionne à 100 %. Si le ciel partiellement couvert, la perte s’élève à environ 50%. Le panneau fonctionne donc à 50 % de son potentiel. Si le ciel est couvert, il ne fonctionne plus qu’à 10 %. Ce qui équivaut à une perte de 90%. Les techniques pour capter directement une partie l’énergie solaire sont disponibles et sont constamment améliorées. La recherche est très active dans le domaine du solaire photovoltaïque. Les prix diminuent constamment et les rendements progressent. En 20 ans, les rendements sont passés de 15% à 36% dans les laboratoires. Ce dernier chiffre serait celui atteint sur Terre par les cellules solaires utilisées par les robots martiens. Les rendements des systèmes disponibles commercialement sont quant à eux passés de 5% à plus de 20%. En 2003, les nouvelles installations ont représenté, dans le monde, une puissance de 574 MW-pic, en augmentation de 34% par rapport à 2002. Financièrement, il s’agit maintenant d’un marché de 4 milliards d’euro par an. Le Japon, l’Allemagne et les États-Unis représentent ensemble 75% du marché mondial. Les installations connectées aux réseaux (sans stockage de l’électricité) représentent la majorité des nouvelles installations. Les systèmes de production d’énergie solaire ont un coût proportionnel quasi-nul : une fois l’installation de l’appareil effectuée, l’énergie est produite par le Soleil, ce qui ne coûte rien. Il faut cependant tenir compte des coûts d’entretien de l’appareil. Il est également possible de se servir d’un panneau solaire à l’intérieur d’un bâtiment. Seulement, les performances diminuent de 10 à 25% lorsque les rayonnements passent aux travers d’une vitre. situation géographique : Les pays qui seront choisi en priorité seront ceux dont la situation économique est la plus fiable. rayonnement solaire saisonnier : Selon l’importance de la couverture nuageuse de l’atmosphère, le sol reçoit de 68 % jusqu’à 28 % (ou moins) du rayonnement solaire parvenant sur Terre. Sur 6 milliards d’être humain, 1 milliard de personnes seulement ont accès à l’internet. Or, ce média devrait être accessible à tous. Il reste donc 5 milliards de clients potentiels. L’Asie, l’Afrique et l’Europe totalise à eux seul 82,9 % de la population mondiale. C’est pourquoi, les pays qui les composent reste une des priorités du projet. Pour une entreprise : contacter des business angels. Pour une association loi 1901 : vérifier qu’il n’existe pas déjà une structure similaire dans votre ville. Sinon, déposer les status auprès de votre préfecture ou sous préfecture du département ou est situé votre siège social. Remplir un dossier de demande de subventions à votre mairie à l’aide de ce document ainsi que des status de votre organisme d’affiliation. Voir sections financement et bugdet. 2.externaliser : créer d’autres communautés locales, régionales, nationales et internationales. Le financement se fera par la vente directe sur internet ou par téléphone. Ce qui diminue très fortement tout risque d’impayé et optimise la trésorerie de l’association. L’association peut recevoir des financements d’institutions publiques, de structures associatives déjà en place ainsi que d’institutions privé et de la société civile. Ce projet se place dans l’initiative 50×15 puisqu’il vise à ce que la moitié de la planète est un chargeur solaire ainsi qu’un ordinateur portable qui fonctionnera aux énergies renouvelables avant 2015. En lisant ce document, en achetant des panneaux solaires ou/et en reversant une partie de vos bénéfices à l’organisation « One Solar Panel Per Child » sous forme de don en nature ou de cotisations, vous contribuez déjà à la réussite de ce projet. Et je vous en remercie. Le but est que 2 milliards de personnes achète un chargeur solaire portable à 50 euros (ou moins). Le budget requis est de 100 milliards d’euros. Un chargeur solaire portable vaut 50 euros. Si on achète 2 milliards de chargeur solaire portable et qu’on les vend à 51 euros, on obtient 2 milliard d’euros de bénéfice. En prenant en compte les économies d’échelle, si le chargeur solaire portatif est vendu moins cher, donc à 48 euros, le bénéfice par objet est de 3 euros, le bénéfice total s’élève donc à 6 milliards d’euros. Le projet a reçu également des critiques concernant l’impact sur la santé et sur l’environnement notamment à cause des composants utilisés lors de la fabrication de ces ordinateurs. Quels sera l’impact d’une implantation massive de panneaux solaires portables fournissant des énergies renouvelables pour la population mondiale ? En France, l’électricité est loué à EDF. Alors que financer les énergies renouvelables coûte moins cher. Démonstration : Un ordinateur coûte 12,74 euros d’électricité par an en moyenne. Donc, sur 20 ans : 254,8 euros. Acheter un chargeur solaire revient à 100 euros de frais fixes. Le placement devient rentable au bout de 10 ans. Cela fait donc une économie de 154, 8 euros par an. Tout les ans. Ce projet vise à ce que la moitié de la planète est un chargeur solaire pour ordinateur portable qui fonctionnera aux énergies renouvelables avant 2015. La gratuité des panneaux solaires est possible. Sur le bénéfice que ce fait les familles, 50% peut servir à financer d’autres familles en matériels. Donc, il est possible via contrat de « donner » des panneaux solaires portables sans que l’association verse quoi que ce soit. Permettre aux populations d’accéder à une source d’électricité renouvelable, c’est d’une part réduire leur dépenses, d’autre part réduire la fracture numérique en leur donnant accès aux ouvelles Technologies de l’information et de la Communication (NTIC : téléphone, ordinateurs portables etc), faire entrer ses population dans la révolution numérique, enfin c’est permettre l’insertion de ces populations dans la société de l’information, les rattachant ainsi à l’économie mondiale. Quel est l’étendue de l’empreinte écologique résultant de la création de 5 milliards de panneau solaire portable ? Cela représente une pollution non négligeable. Cependant, cela représente moins que la consommation de pétrole et ne génèrera pas de déchets radioactifs. L’aptitude généralement admise veut que « Plus le niveau de vie est élevé, plus l’empreinte (et donc la consommation de ressources) est importante. » Cela est dangereux si les ressources utilisés ne sont pas durables, or les ordinateurs portables seront alimentés par le soleil qui est une énergie renouvelable. Une population qui a accès à un niveau d’éducation élevé aura la possibilité de faire de meilleurs choix qu’une population avec un niveau d’éducation plus faible. Donc, si elle choisi le moyen d’existence le plus écologique, elle produira moins de déchets et son empreinte écologique sera par-la-même réduite. * Meilleur choix en matière de transport : avoir un ordinateur chez soi évite qu’une personne habitant à la campagne n’est à se déplacer en voiture dans la ville la plus proche pour se connecter à un cybercafé. La vrai question est : quels sont les matériaux entrant dans la composition des panneaux solaires et des ordinateurs portables, et sont-ils durable? En mode transmissif Couleur/DVD avec une résolution de 693 par 520 pixels avec rétro-éclairage (pour une utilisation en tant qu’ordinateur portable). En mode réflectif (utilisant la lumière ambiante) monochrome d’une résolution de 1200 par 900 pixels (pour lire des « ebook » (Livres électroniques) à l’extérieur). 128 MB de DDR266- 133 Mhz DRAM. 512 MB de mémoire flash. Réseau Sans Fil 802.11b (WiFi) fourni par une carte fonctionnant à une vitesse limitée (2 Mbit/s) pour minimiser la consommation électrique. Clavier conventionnel alphanumérique localisé selon le pays d’utilisation. Pavé tactile (touchpad) pour le contrôle du pointeur et comme zone d’entrée d’écriture manuscrite. Câble électrique servant également de bandoulière. Deux piles rechargeables C (R14) ou D avec une manivelle. Quatre piles alcalines C (LR14) ou D (LR20). Au maximum, entre 5 et 10 Watts, alors qu’un ordinateur traditionnel consomme 20 Watts en moyenne. Attention : il faut être muni d’un allume cigare mâle pour brancher les appareils ! Ce qui nous donne un KIT SOLAIRE à 113,90 euros ( 99+14,90 ). L’objectif des force de ventes sera d’abord de réduire ce coût à 100 euros. Puis, la production et la recherche et développement aidant, à 50 euros. Puisque l’association deviendra son propre fournisseur en contrôlant toute la chaîne de production afin de réduire les coûts et améliorer la qualité. Afin de fournir un KIT Tout-En-Un pour 100 euros comprenant l’ordinateur portable du MIT (50 euros) ainsi que le KIT Solaire (50 euros). Le projet part du constat qu’un ordinateur portable du MIT Media Lab sans panneau solaire ne fonctionnerait pas, et qu’un panneau solaire sans matériels fonctionnant à l’électricité n’aurait aucune utilité. Permission is granted to copy, distribute and/or modify this document under the terms of the GNU Free Documentation License, Version 1.2 or any later version published by the Free Software Foundation; with no Invariant Sections, no Front-Cover Texts, and no Back-Cover Texts. A copy of the license is included in the section entitled « GNU Free Documentation License« . Photos appartenant à leur propriétaires respectifs.